The Briton has always seemingly set his heart on leaving motorsport completely and focusing full-time on fashion and music when he eventually ends his F1 career. But his view appears to have been altered after an event at Silverstone with Mercedes which saw him drive classic cars from various different categories. "Up until now it has always been about F1," he is quoted by The Sun. "But I just drove an old DTM car today, which I really loved. "I rarely get to a track these days and have some fun, so that experience was extraordinary. It was so cool driving my 2015 car and then the 196. It was a unique experience. "Being that I have been racing since I was eight years old, I am going to have massive withdrawal symptoms, like every driver has when they stop racing and when Formula 1 stops for me. "There are other things to do. I guess there are other series I could do." It was then the prospect of Formula E was brought up with the first Mercedes car also at Silverstone ahead of their entry into the all-electric category for Season 6 later this year. 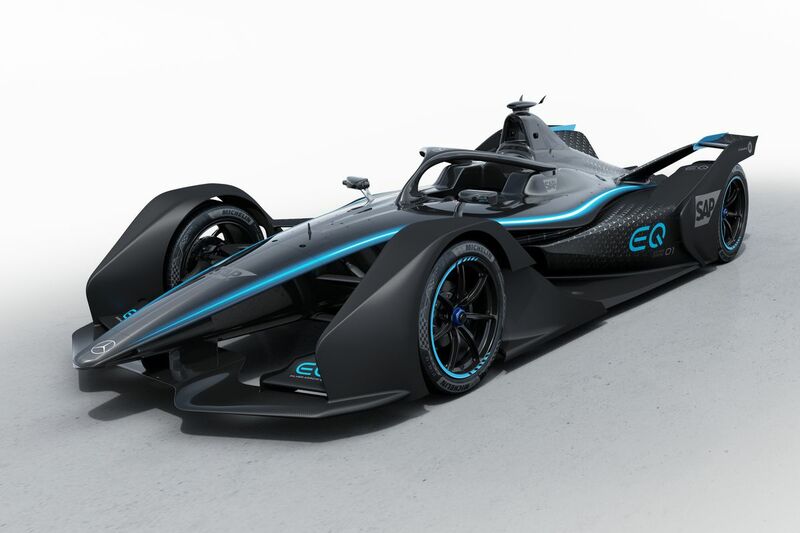 In attendance was Gary Paffett, a driver who has raced all kinds of cars adorned with the Silver Arrow, as well as with HWA, the Mercedes-backed team that has entered Formula E as a precursor to the German manufacturer's arrival. "I actually grew up in the same era as Gary. He is a little bit older than me and he is now racing in Formula E and that is now going to be the future," Hamilton stated. "Who knows, in the future that's maybe an area where I can use my skills but as you get older, it is more challenging to find the motivation to stay focused and you have to find something you love. "I am pretty sure I will always love cars, and for now I am going to try and stay in Formula 1, so long as I stay focused and fit, I will carry on driving the best that I can."